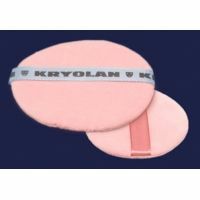 Whether it’s KRYOLAN’s world renowned Dermacolor Camouflage make-up system, the economically priced and family friendly Fun Faze line, or the fun and spunky Stargazer family of products, KRYOLAN offers a number of make-up lines custom tailored to fit the needs of its various customer groups. The Dermacolor Camouflage System is a Paramedical Line developed by KRYOLAN and designed to correct skin imperfections or discolorations whether they are accidental, dermatological, surgical or congenital in origin. With proper use skin abnormalities in both color and texture can be easily corrected, resulting in both weatherproof and long-lasting effects. The program is effective for men, women and children. Toxic or allergic reactions have never been observed with Dermacolor. Its effectiveness and quality are proven in intensive and long-term use under clinically supervision.